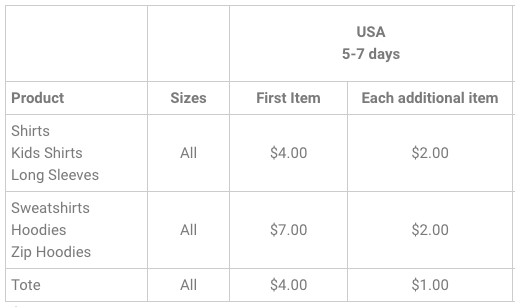 How are shipping costs calculated for multiple items? If you order 3 shirts, you pay $4.00 x 1 + $2.00 x 2 = $8.00. So, you pay $4.00 for the first item and $2.00 each for the other two items.